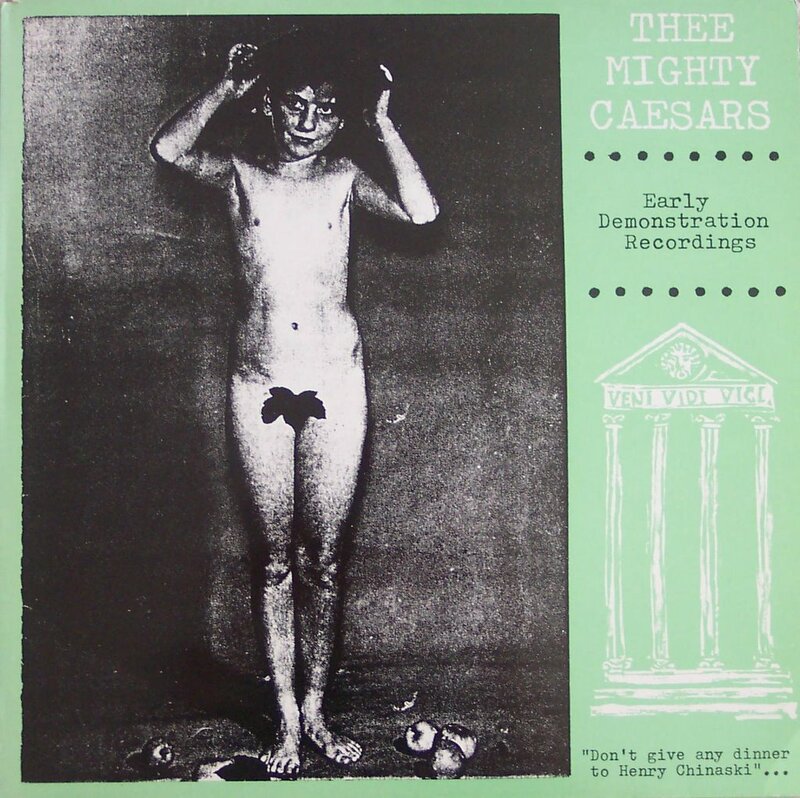 Hands down the best record of BILLY CHILDISH's most prolific career. 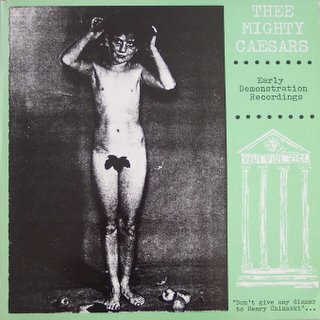 I went hog wild scarfing up MIGHTY CAESARS vinyl in the late 80s/early 90s when the first Crypt best-of compilation turned me onto these guys, and at one point I think I had the entire discography before Thee Headcoats went off the deep end and tossed off onto the public every fart & titter committed to tape . This one from 1987, all 19 minutes of it, was by far the boldest and most raw thing this very bold & raw trio put to vinyl, featuring early wide-groove, near-45rpm versions of hits like "She's Just 15", "Devious Means" and "I Can Tell". This is when Childish & co. were deepest into their LINK WRAY fixation(s), so among the 10 tracks are incredible, hotwired versions of "Comanche" and "Run Chicken Run" -- the former is so booming & loud I'd venture to say I'd even take it over Link's version. Also features a thumper of a run-through of THE TROGGS' "I Want You" and several other fantastic originals that never made it to later best-of comps (to my knowledge), like "The Bay of Pigs" and my fave, "La-La, La-La, La-La-La" (easily one of the Top 3-4 Caesars tracks ever). This is a band it's not difficult to forget about sometimes, given their daunting discography and near vanishment from the historical record, but man, if someone was wise & precient enough to re-press this thing, I can think of a lot of ears that'd wanna hear it.